An experienced divorce attorney can help clients navigate the divorce process while also protecting their client's best interests, whether that be with the division of property or keeping a beloved pet. Dividing property can be a complicated matter during a divorce, especially when pets are involved. For many, pets are more than property; they are members of the family. California's new pet law recognizes this special bond, giving pet owners options during divorce. The attorneys of Shore, McKinley, Conger & Jolley, LLP explain how California's new pet law applies to divorce. If you live in or around Sacramento, CA and would like more information, please contact our attorneys at your earliest convenience. How Were Pets Treated before the New Law? Before the new law, pets were considered property by the courts. Determining which spouse would keep the family pet could complicate the division of property, as well as disregard which spouse the pet preferred. Some judges would try to resolve the custody issue but requiring ex-spouses to share custody, dividing time between homes much like a child custody arrangement, while other judges would suggest selling the pet and splitting the proceeds. Because pets were considered property before the new law, pets were sometimes treated as bargaining chips when dividing property. Clearly, using a pet as leverage in property division didn't serve the pet's best interest or acknowledge the special role beloved pets play people's lives. What Is California's New Pet Law? California's new pet law, Assembly Bill 2274, went into effect on January 1, 2019. The new law enables the courts to consider a pet's best interest when determining who will keep a pet in the event of a divorce. Before the new law, the courts considered pets property and didn't always consider which spouse the pet would prefer to stay with. According to the new law, the courts are authorized to consider the best interest of a pet when determining custody, whether sole or joint, if one or both divorcing spouses request so. Which Animals Are Considered Pets Under the New Law? Under California's new pet law, any animal kept as a household pet and owned by both spouses can be considered a pet subject to the protections of the law. Of course, this includes dogs and cats, but it can also apply to lizards, birds, fish, horses, or any other animal a couples shares in their marriage. The new law allows the courts to consider the pet's best interest in deciding who will keep the pet after divorce. This can be done in different ways, but generally the judge handling divorce proceedings will allow both parties to speak on their own behalf. The judge may request information from each party, such as who is the primary care giver to the pet, who walks the pet, plays with the pet, takes the pet to the veterinarian, or feeds the pet. The pet may be brought before the judge so he or she can see how the pet interacts with each spouse and which spouse the pet seems to prefer. From all of this information, the judge may appoint sole ownership of the pet to one spouse or joint ownership may be granted. 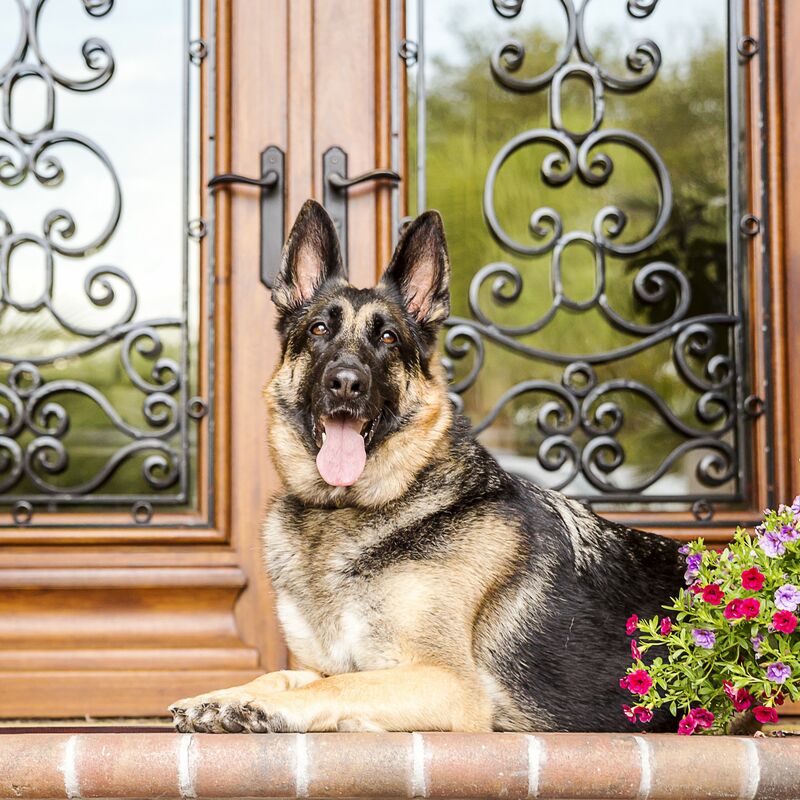 Because pets build bonds with family members, it may be in the pet's best interest to award joint ownership of the pet or to establish visitation rights if sole ownership is given. If you are facing a divorce and don't want to lose your beloved family pet, the attorneys of Shore, McKinley, Conger & Jolley, LLP can make sure California's new pet law is applied to your divorce proceedings. To find out how the new pet law can help keep you and your beloved pet together, please call (209) 477-8171 to schedule a consultation.